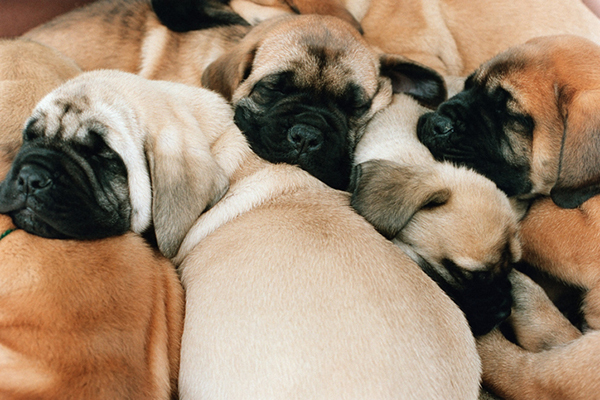 When a litter of puppies is whelped, you may be wondering how to tell if a puppy is a boy or a girl. Here are some helpful tips on how to figure out a puppy's gender. 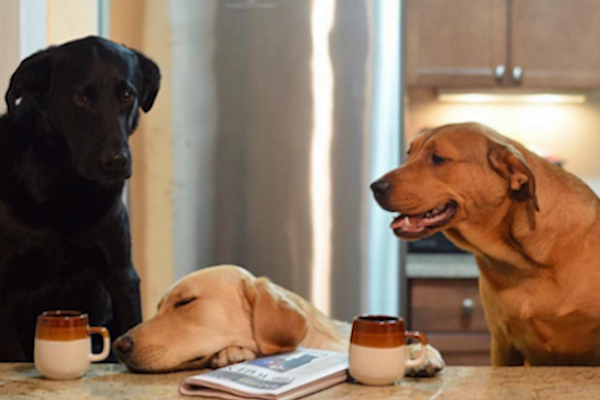 Take a peek at some of our favorite dog dads just in time for Father's Day! 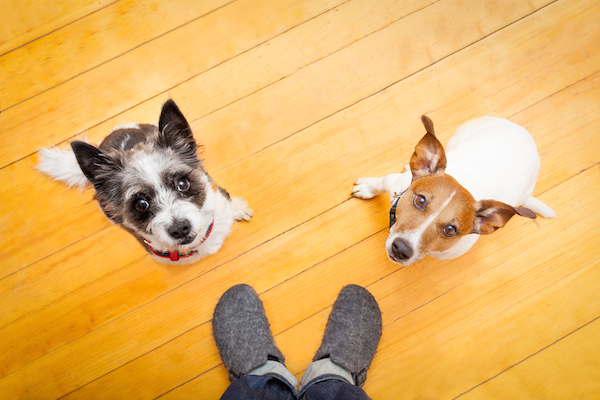 Have you and your human brothers and sisters ever been ousted as the family favorite by a dog sibling? Check out one writer’s experience, and share yours. Are Blue Heelers Really Blue? Sort of. 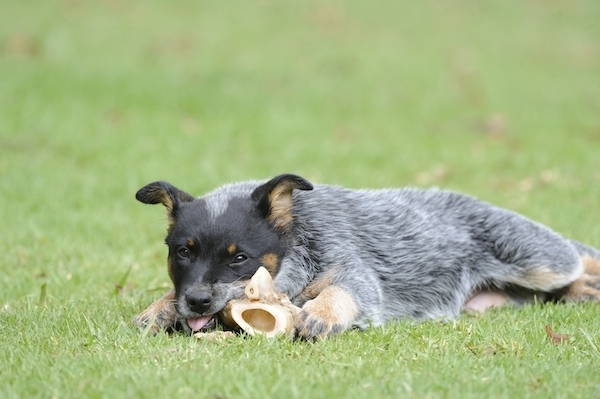 And "Blue Heeler" is sort of a nickname for Australian Cattle Dog. Discover more cool facts about this beautiful dog breed. 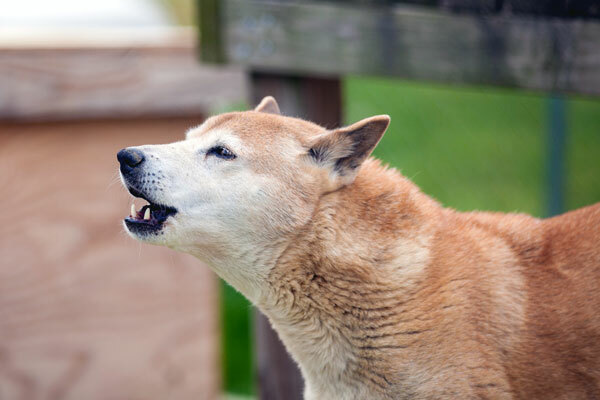 Why Do Dogs Howl or Sing? Sometimes it's joy. Sometimes it's a protest. Or a reaction to a siren. 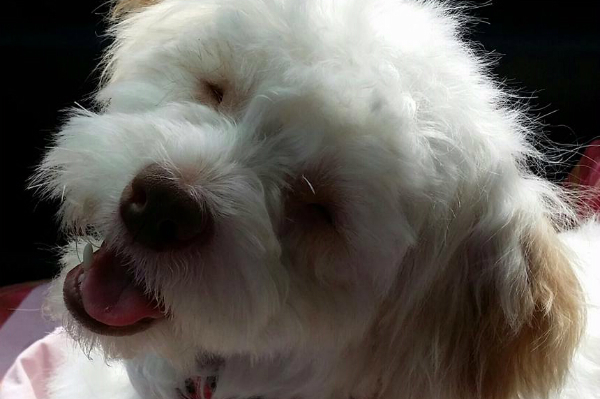 Do your dogs howl or "sing," too? How Do Dogs Choose Their Humans? 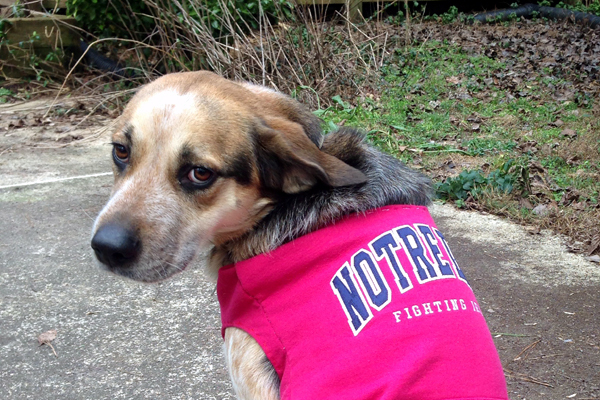 Each of our four dogs has a distinct favorite person in our family. But how do dogs choose their humans? What were Pugs bred for? 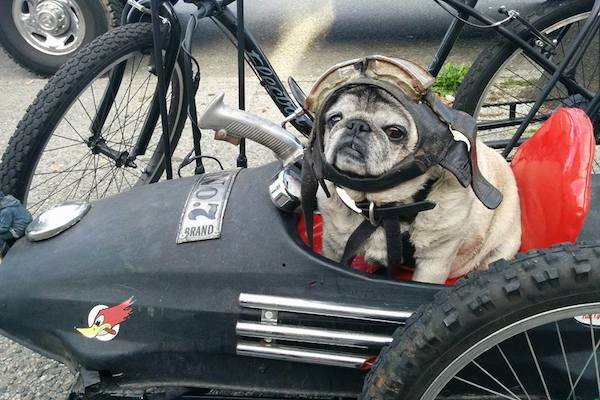 Was the Pug always a companion dog, or were they intended to hunt lions? 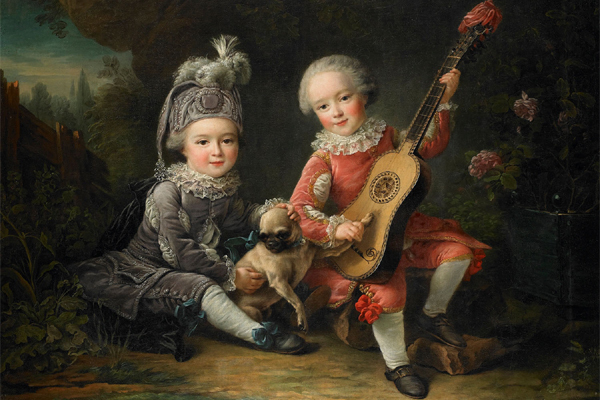 What can 18th-century European art tell us about Pug history? The study of animal cognition, including pig intelligence, is still a new field. 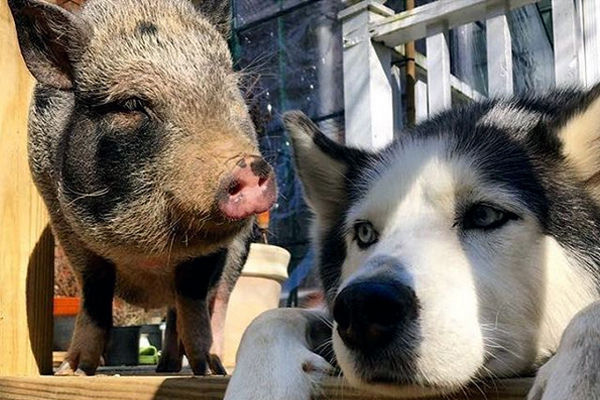 Which animal does science say is smarter, the dog or the pig? 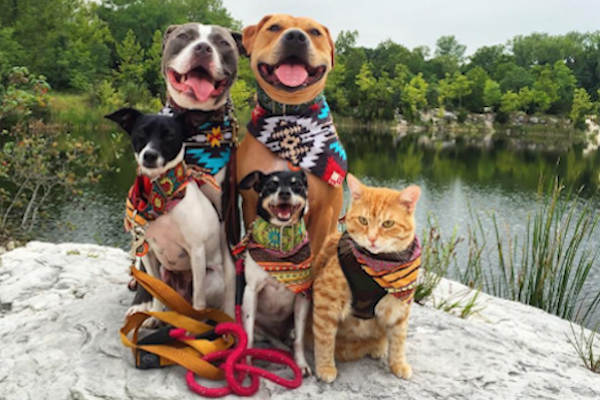 Kasey Boggs shares the cutest photos of her Missouri menagerie on Instagram. Take a look! 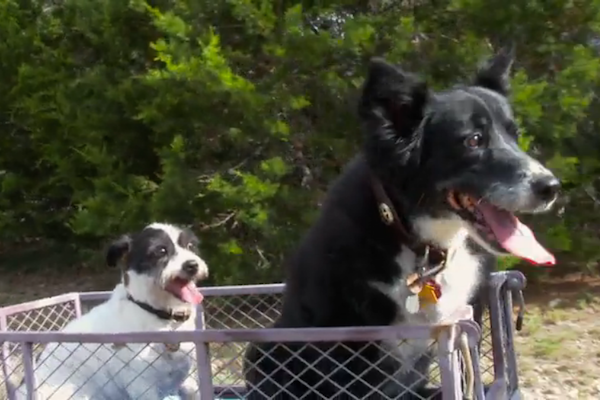 Watch Scout and Goblin Take a Ride in Their Wagon! Senior dog Scout can no longer go on long walks because of her hip dysplasia, so she and her best friend Goblin take rides in their wagon. It's adorable! 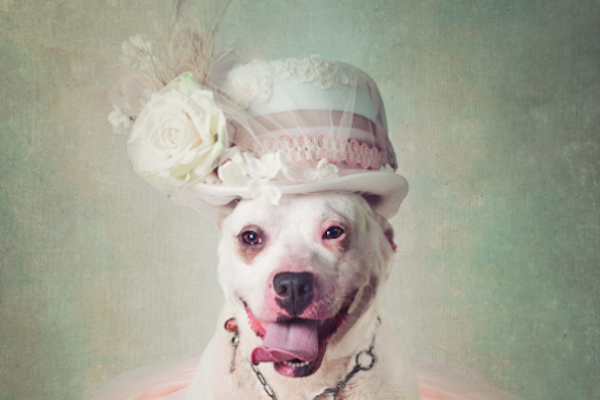 The Arkansas-based photographer puts dogs up in an eye-catching array of outfits -- and thanks to her pics, adoption rates have increased at her local shelter. 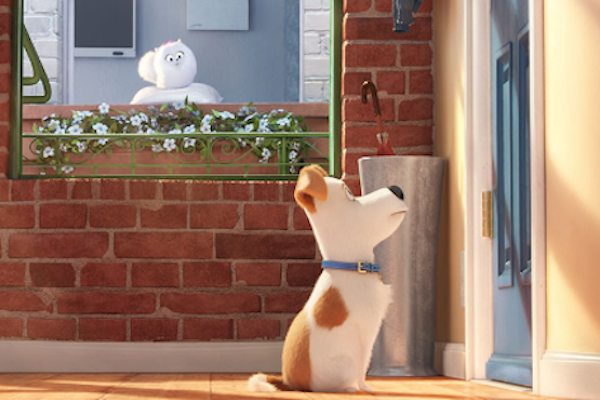 The movie opens July 8, but you can have fun ahead of time by creating a downloadable petmoji in the image of your own dog! 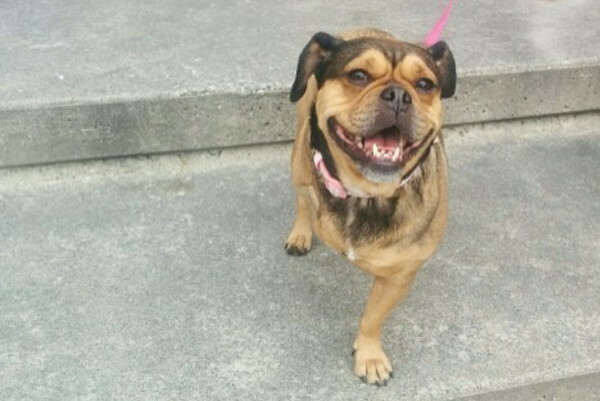 The Puggle-Frenchie mix lost her leg to the trap but gained a loving, forever home. 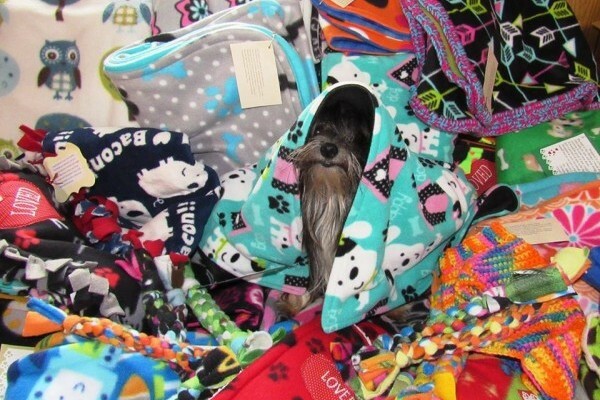 The animal-loving artisans make a variety of items that rescue groups need to keep adoptable dogs comfortable as they await forever homes. The Eternal Question: Why Does My Dog Stare at Me? Context is everything when it comes to dog staring. 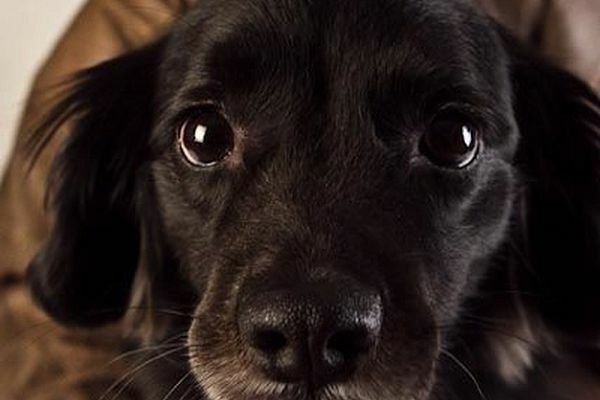 We examine some of the emotional and biochemical reasons why dogs stare at their humans. 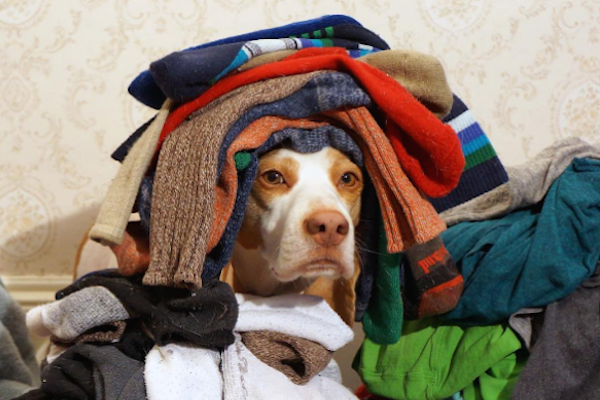 This lemon Beagle is a social media phenom thanks to his many animal costumes and his vacuum-fighting skills. Spirit collapsed in the front yard of a kind woman. 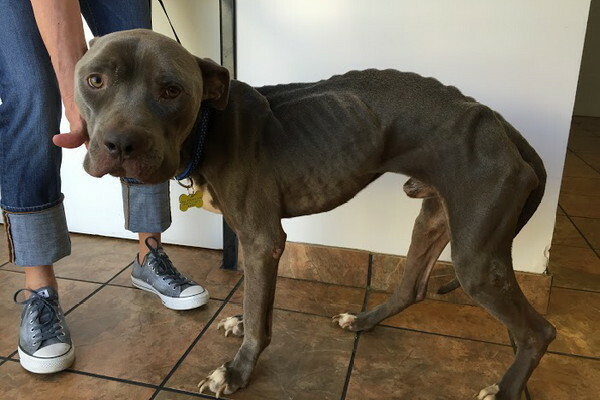 She called the Bill Foundation and got him the help he needed to heal and become a wonderful family dog. Born with deformed back legs and without eyes, the rescue pup now visits schools to teach kids that physical differences don’t have to slow a person or dog down. 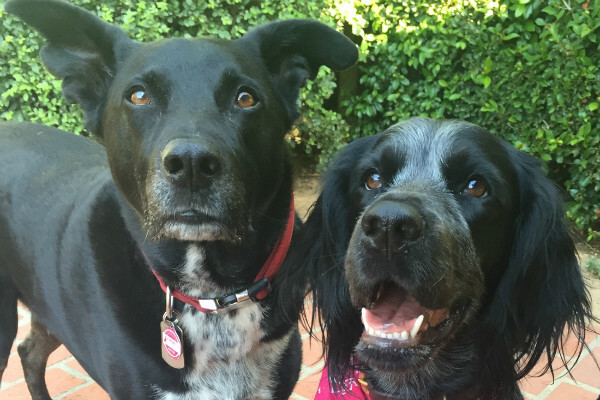 Belle Turns Her Dog Only Knows Blog Into a Book! 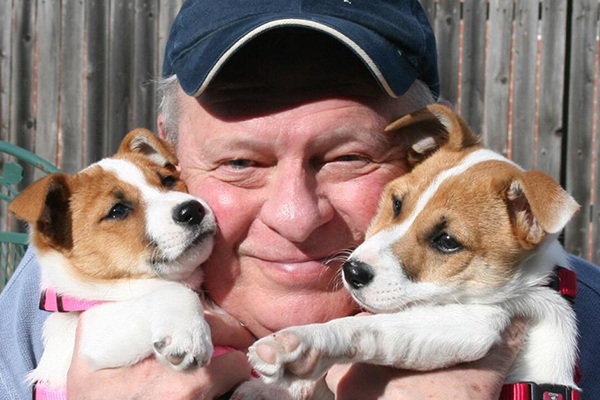 We chat with Terry Kaye about serving as translator and typist for Belle's latest project, "Dog Only Knows: The Word of Dog." We talked to Austin-based musician John Pointer about his cathartic post about Benny's last moments -- and about the illustrated book version in the works. 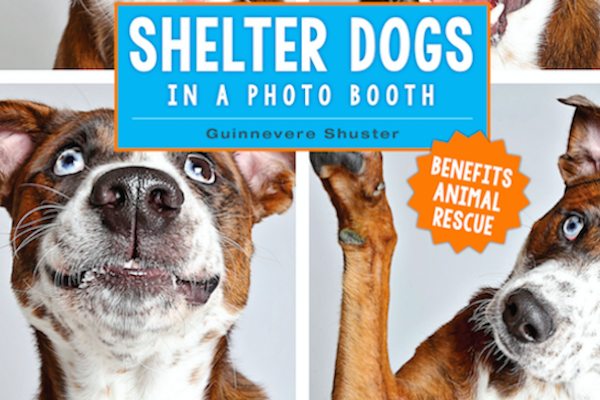 The photographer's work captures the playful side of shelter dogs, which increases adoption rates! A new book collects her favorite photos. 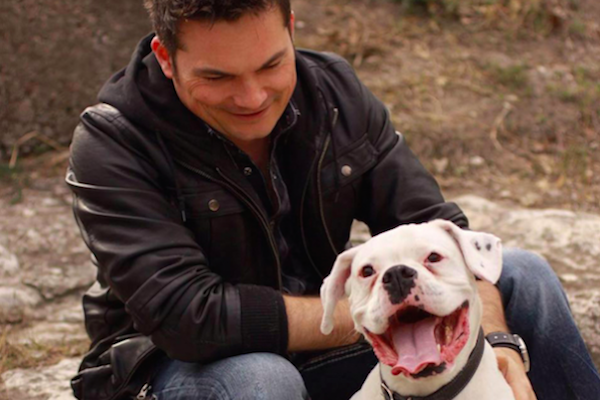 The Boxer, who was nearly euthanized for being deaf, is a natural at comforting kids during depositions and trials. Here's your handy introduction to the online social game that awards points for snapping dog pics. 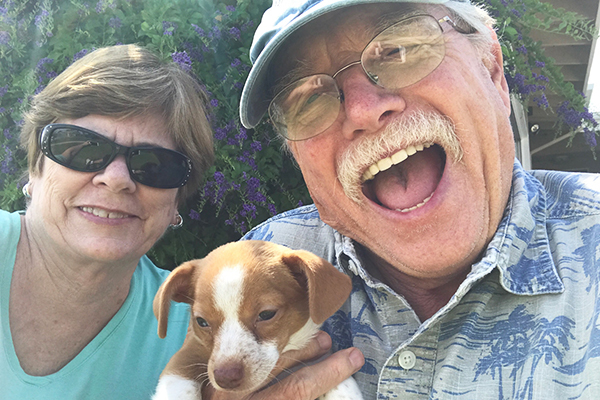 After I was diagnosed with Type 1 diabetes, my passion for hiking began to dim -- until a feisty Chihuahua/Jack Russell Terrier became my trail guide. 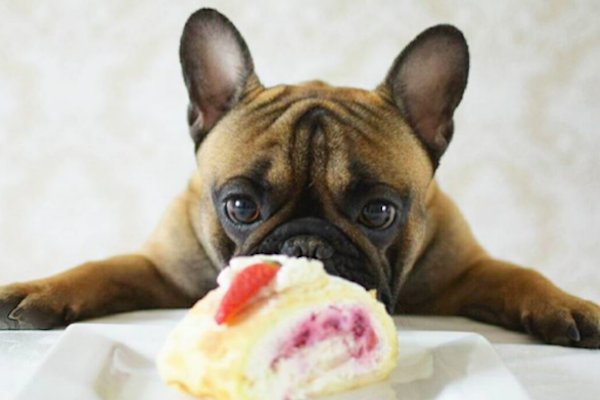 This French Bulldog lights up the social media scene with his expressive pics and chirpy personality. Sissy left for the summer on Sunday, and my poor Riggins is beside himself. The first heartbreak is always the hardest. 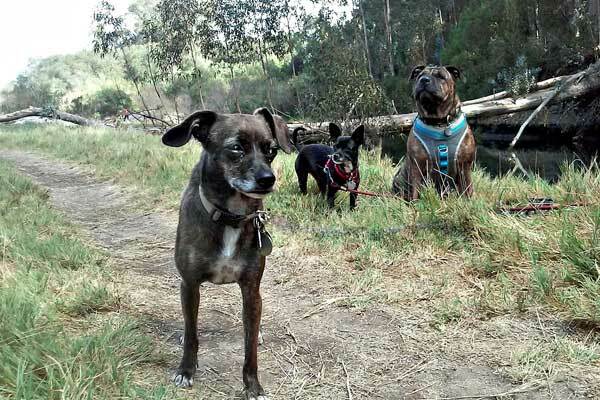 With help from their human, Jenna, these rescue pups spread the important adoption message. 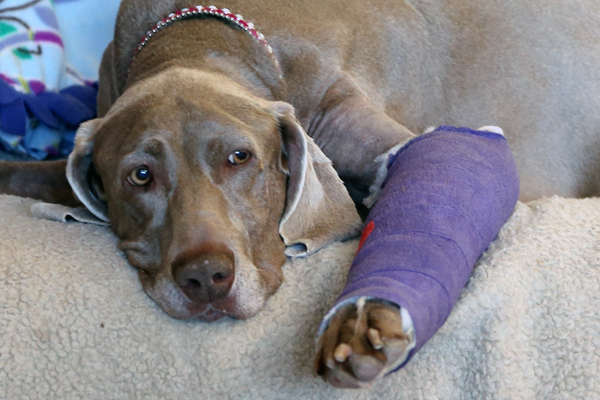 The 10-year-old Weimaraner has suffered physically and emotionally from the crime that took her family. 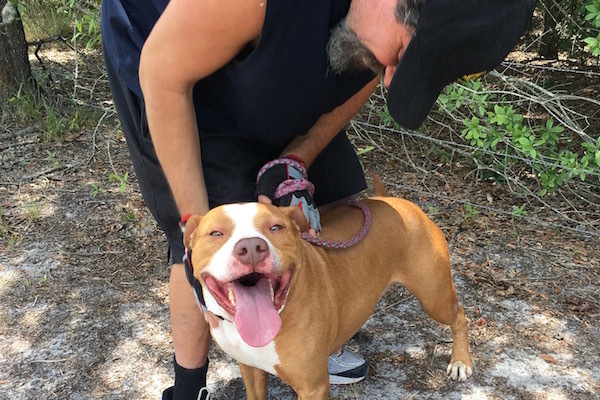 Thankfully, she is recovering in a new loving home. 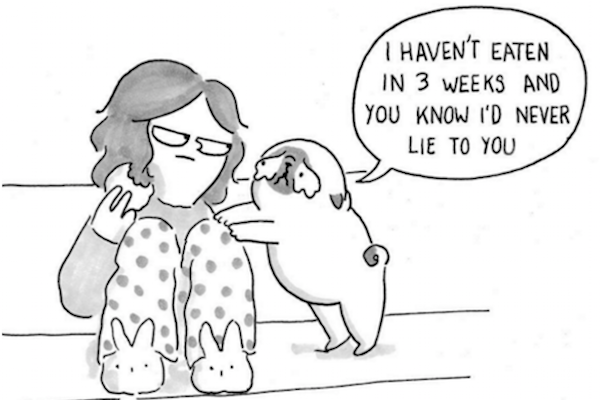 The online comic strip about Gemma Gené's and Mochi's life together is guaranteed to put a smile on your face.